Captain Oliver Hallett, USN was born 1 December 1923 in Denver, Colorado and died at Hinsdale, Illinois on 30 October 1992. Graduated from Phillips Academy and from the US Naval Academy. He served on various submarines, including Executive Officer on the USS Piper SS409 in 1957, and was the Commanding Officer of the USS TIRU SS416 from August 1961 through February 1963. 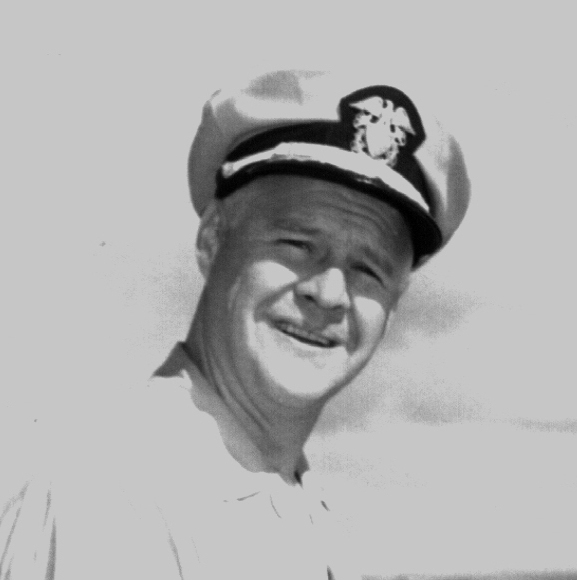 Captain Hallett was a White House naval assistant in the terms of Presidents John Kennedy and Lyndon Johnson. He was duty officer in the Situation Room when President Kennedy was shot on 22 November 1963. He also served in diplomatic assignments in the former Soviet Union and in the Federal Republic of Germany. When he was at Great Lakes, his command included 300 officers and 15,000 recruits. He was there from 1972 until he retired in 1975.